This one is a little late for St. Patrick's Day, but it's one of those meals that I think should be enjoyed at any time of the year. I certainly could go for some Corned Beef and Cabbage more than just once a year. It's a super simple recipe, you throw everything in the crock pot and walk away for 8 hours, only to return to some delicious food. 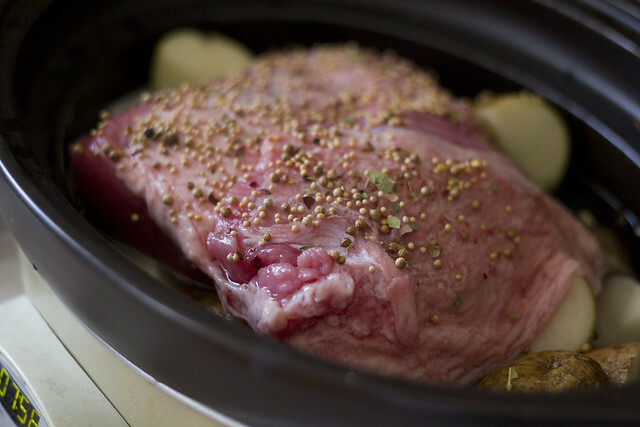 In a 5-to-6-quart slow cooker, place the corned beef brisket. Place the celery, carrots, onion and potatoes around it. Sprinkle on the pickling spice packet and then add enough water to almost cover all the meat. Cover and cook on LOW for 8 hours or HIGH for 4 to 5 hours. About a 45 minutes before time is up, add the cabbage over the corned beef, cover and continue cooking until the cabbage is tender. 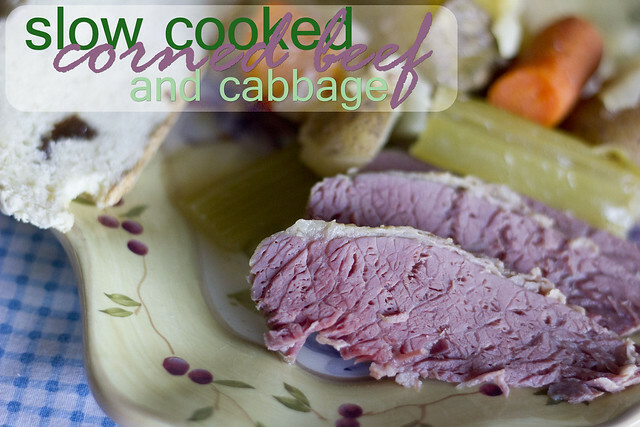 Slice the corned beef and serve with the vegetables. Some people like eating it with some mustard, but I like mine just as is.